Days after a shocking decision by a culture ministry-affiliated council to declare roughly half of the Piraeus Port Authority (PPA) as an area of "archaeological interest", another state council on Thursday returned a much more positive ruling on an application to turn a mostly abandoned passenger terminal into a luxury hotel, naftemporiki.gr reports. The Central Council of Modern Monuments, the official name of the Greek culture ministry-affiliated entity, approved of a request by Cosco-managed PPA to transform the "Pagoda" terminal, at the Akti Miaouli quay, into a hotel. The ruling also approved the renovation of two silos at the port, both over 100 years old. The "Pagoda", so called because of its distinctive architectural design, was used as an exhibition hall and then as a passenger terminal. PPA wants to turn the terminal into a five-star hotel, with the Council's only condition being that the exterior of the building not be changed. The two silos will also be transformed into hotels, according to the port authority's master plan. 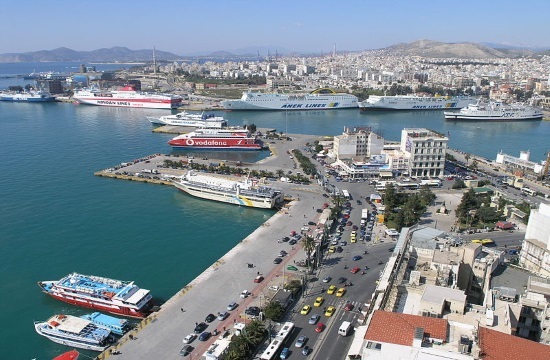 The Central Archaeological Council (KAS) last week designated half the port and two-fifths of the municipality of Piraeus as entailing archaeological interest, which entails stricter building provisions and land uses.